'Boring' Singapore City Photo: Crave it? Not today though. Some days I do. 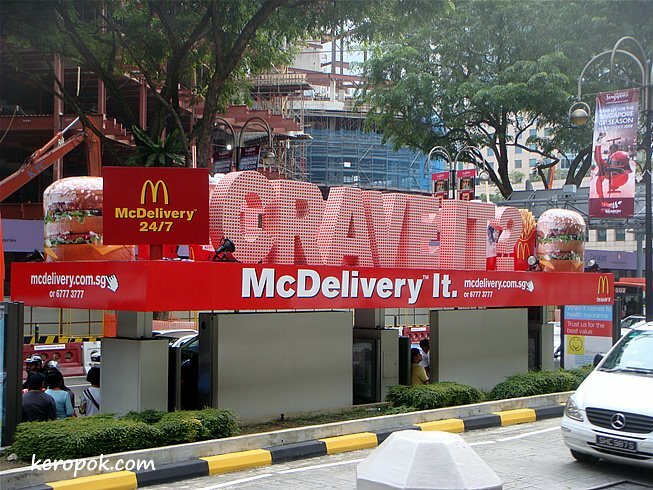 Gosh, we don't even have McDelivery here! aha ha me neither today thanks..great shot! Instead of the best, we tend to export the worst of our culture...fast food! Eat at your risk!! Haven't craved it for about 15 years. I used to think the cheeseburgers and the caramel sundaes were pretty good but not any more. I had a McDonalds for the first time in as long as I can remember yesterday. It tasted good but gave me a headache later! They do taste good though! The sundaes come in new flavors nowadays. I was tempted by the new flavors. hehe..